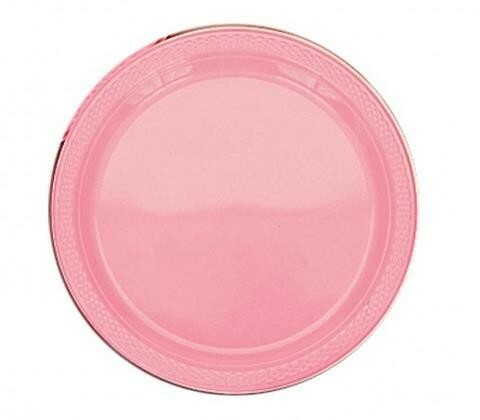 Pretty Pink 17.7cm high quality Amscan small plastic plates. 20 pieces per pack, re-useable if desired. Suitable for both hot and cold food great for picnics, bbqs etc. They come in a huge range of colours with coordinating, larger plates, cutlery, bowls, cups and table covers.